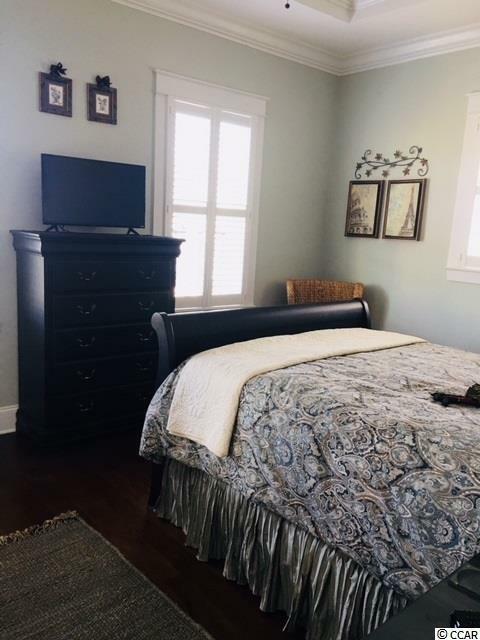 New information... as of March 2019 a new master bedroom and bath have been added to the first floor of this executive style home. _____________________ This truly unique home is located in the desirable Sweetgrass Square neighborhood in The Market Common. 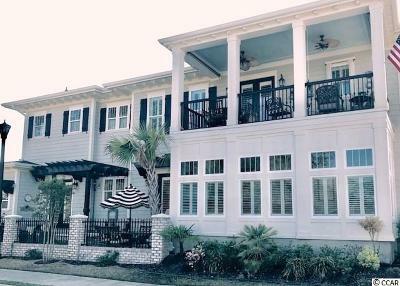 The only custom home built in the community. 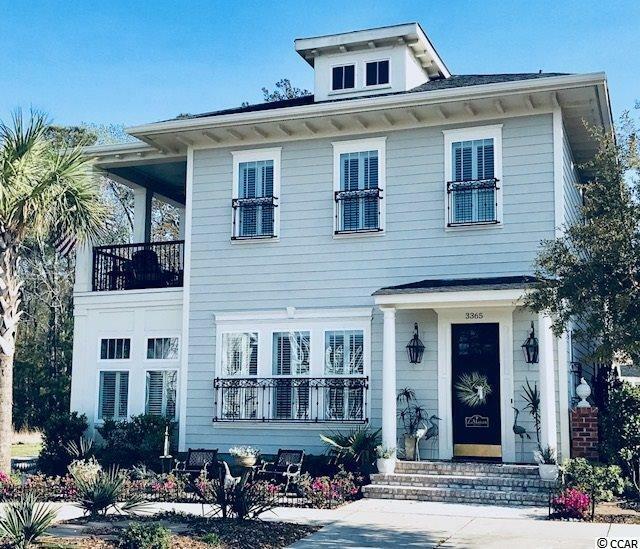 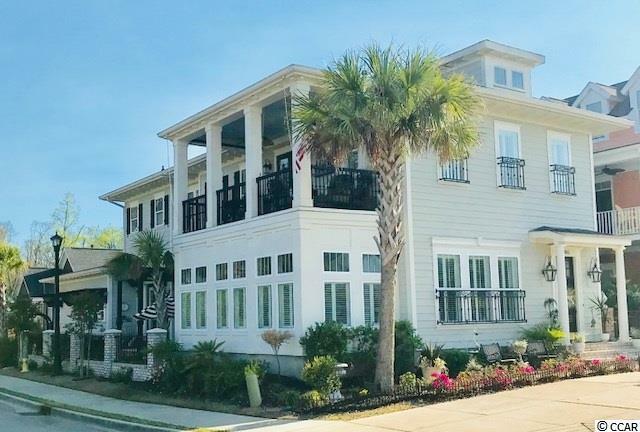 Located on the corner of Pampas Drive and Shine Ave this two story home encompasses all the features of a traditional Charleston Style residence. 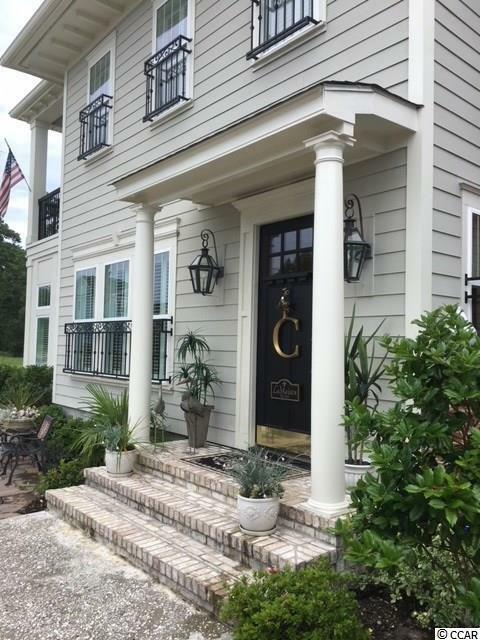 The exterior features include a covered front entrance supported by columns with welcoming functional gas lanterns. The front windows also have traditional window grilles reminiscent of those historic Charleston homes. 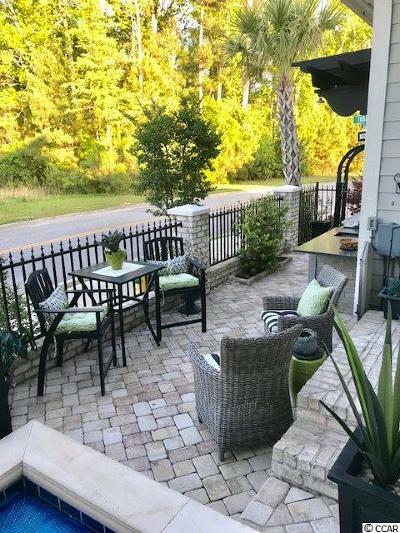 As you come around to the side of the home, the brick knee wall with black aluminium fencing encloses the expansive patio area. 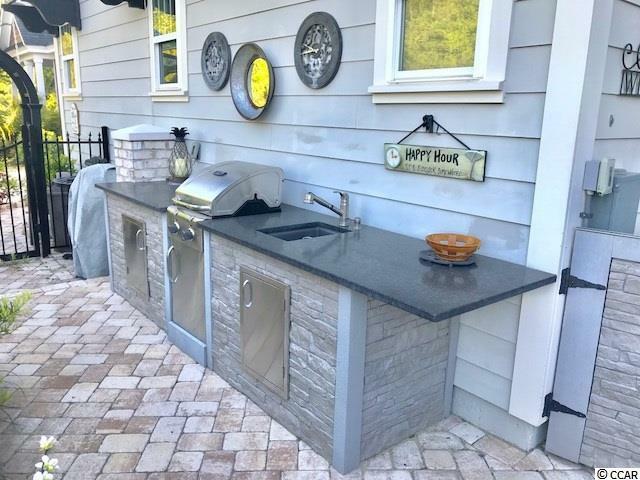 Features include an outdoor kitchen with sink, gas barbecue grille and gas pizza oven as well as areas for seating for dinner or lounging. 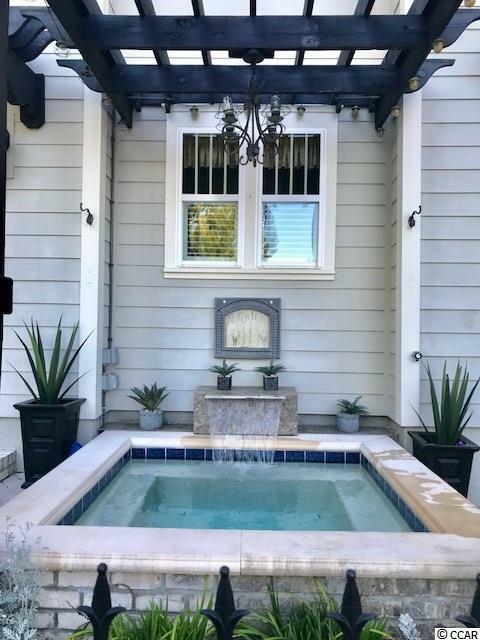 A water feature including a waterfall is the focal point on the patio. 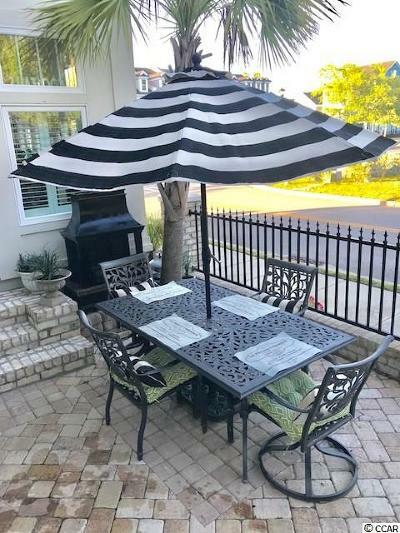 Three architectural pergolas highlight the entire yard. 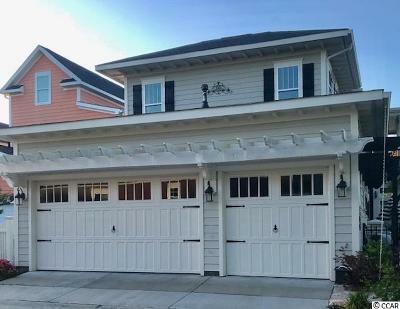 The rear load two car plus golf cart garage also has a pergola feature over the doors. 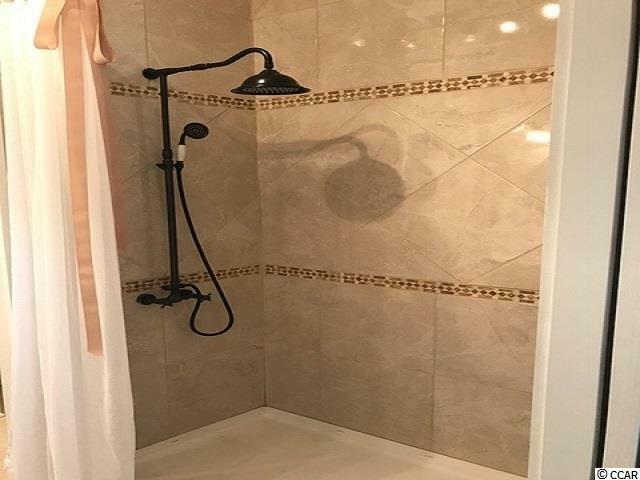 As you enter the home you will notice the 24x 24 porcelain tile flooring throughout the first floor. 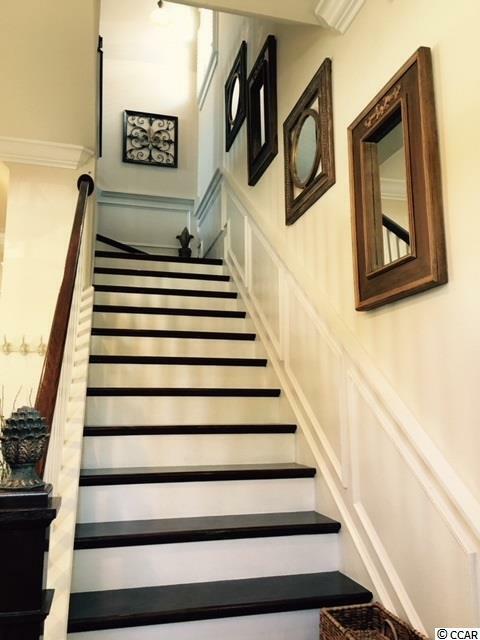 The open floor plan has a 10' tray ceiling with lighting, 8 crown molding and 8 baseboard. 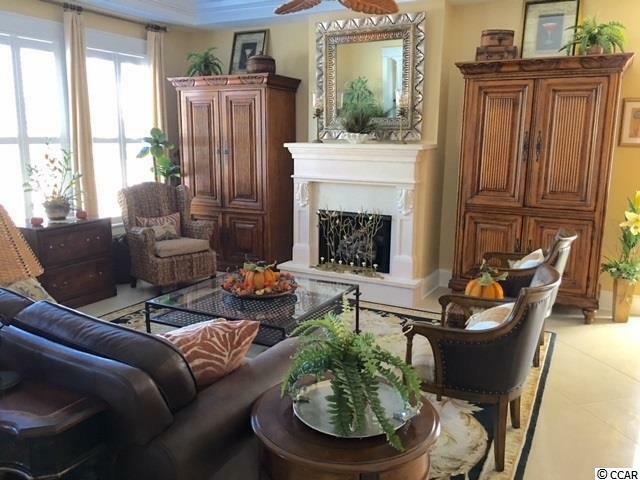 The gas fireplace with cast stone surround and raised hearth is the focal point of the living room. 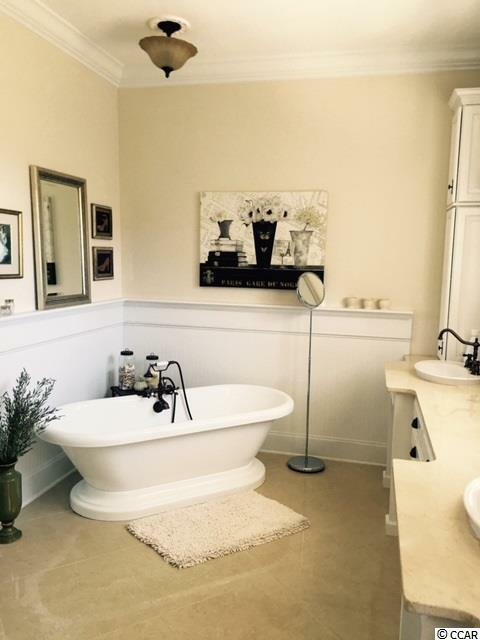 It features a tray ceiling with indirect lighting and detailed molding. 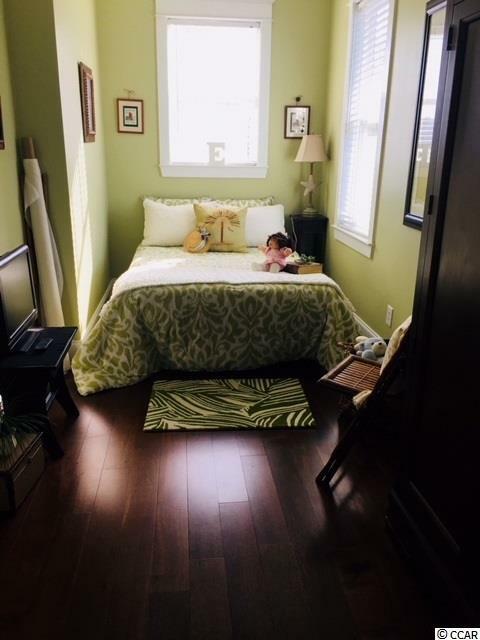 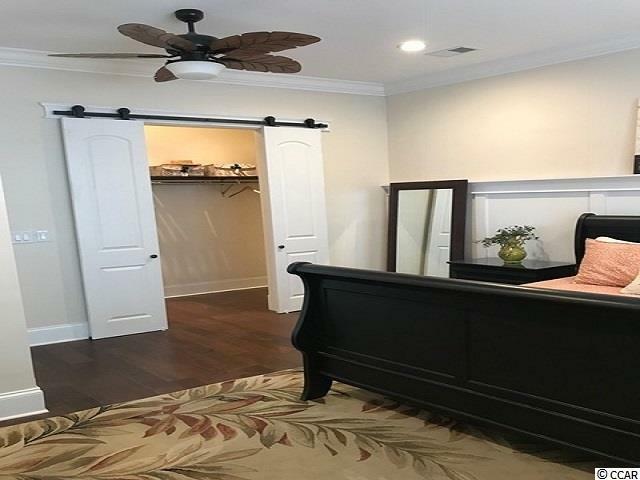 Continuing through the home you will notice the Carolina Room that has a tongue and groove wood ceiling, fan/light and a door that opens to the side yard. 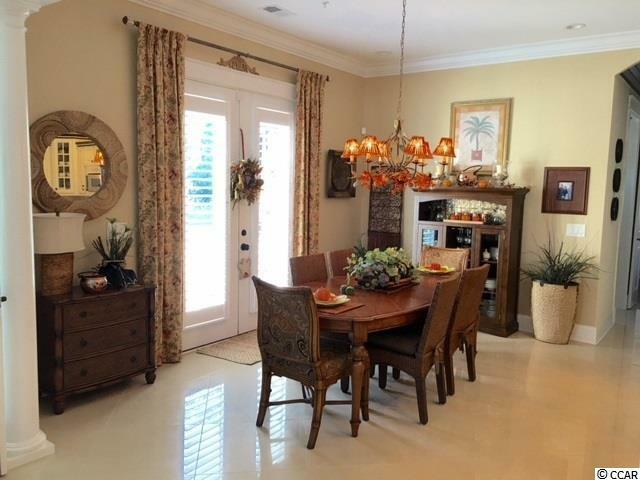 The dining area opens to the gourmet kitchen with travertine counter tops. 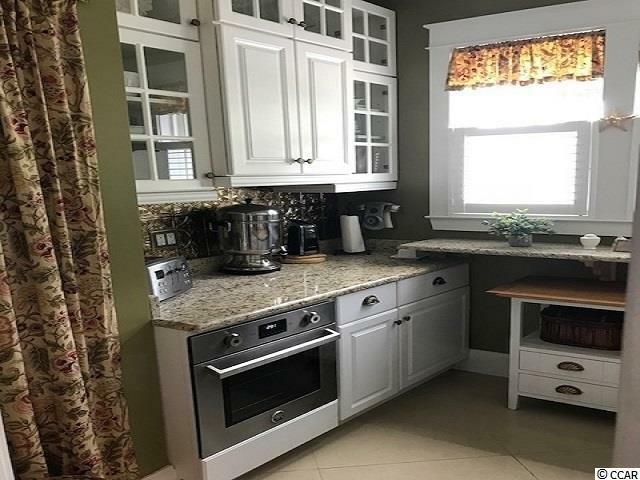 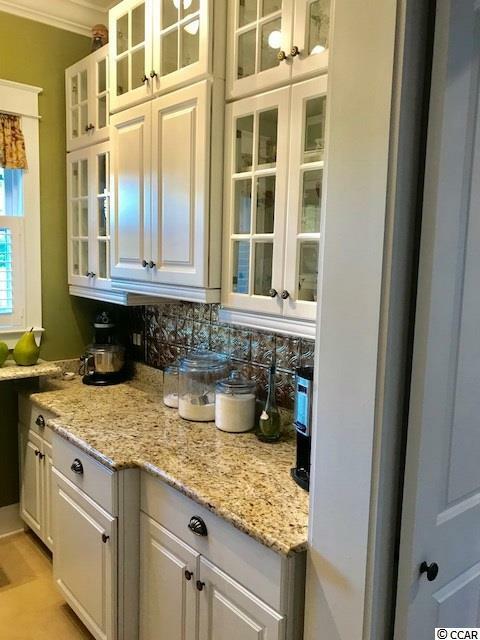 Custom cabinets, 36 professional dual fuel range, microwave, dishwasher, trash compactor, wood paneled refrigerator, cabinet style island with granite counter top. 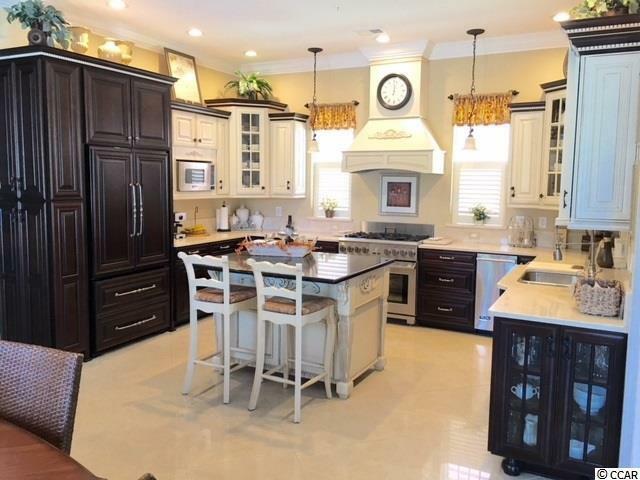 A separate Butler pantry with an additional oven features custom cabinets and granite counter tops. 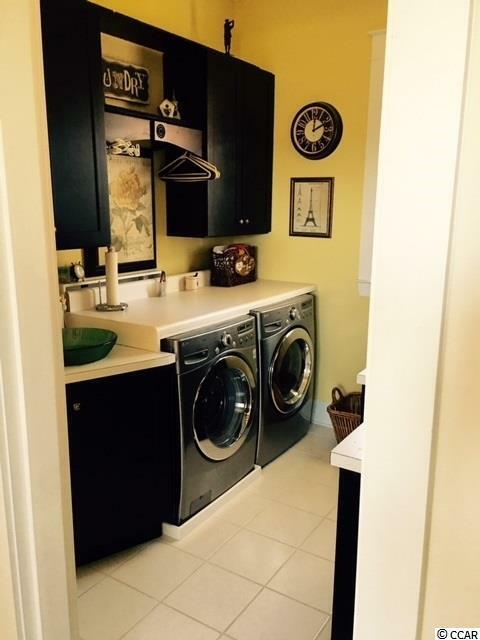 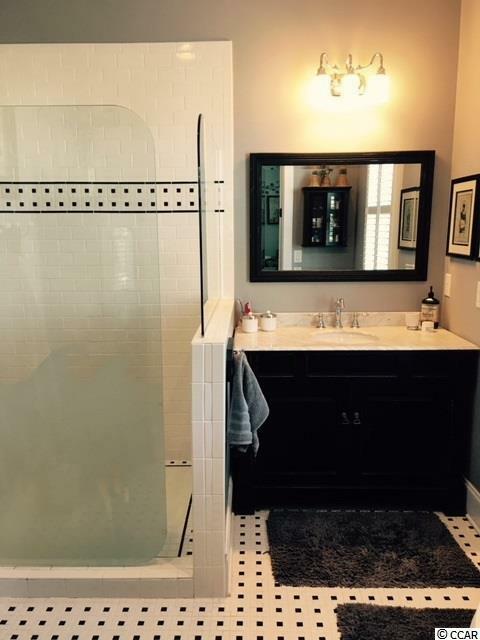 Across the hall is a master bathroom with twin vanities and floor to ceiling custom tile walk in shower. 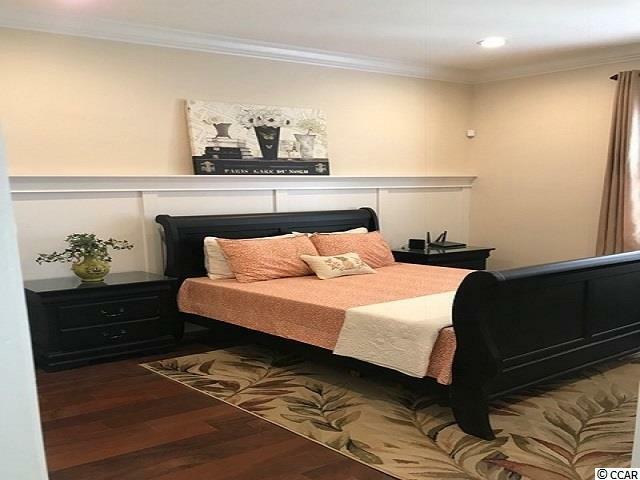 As you pass under a wood paneled barrel ceiling you enter the first floor master bedroom. 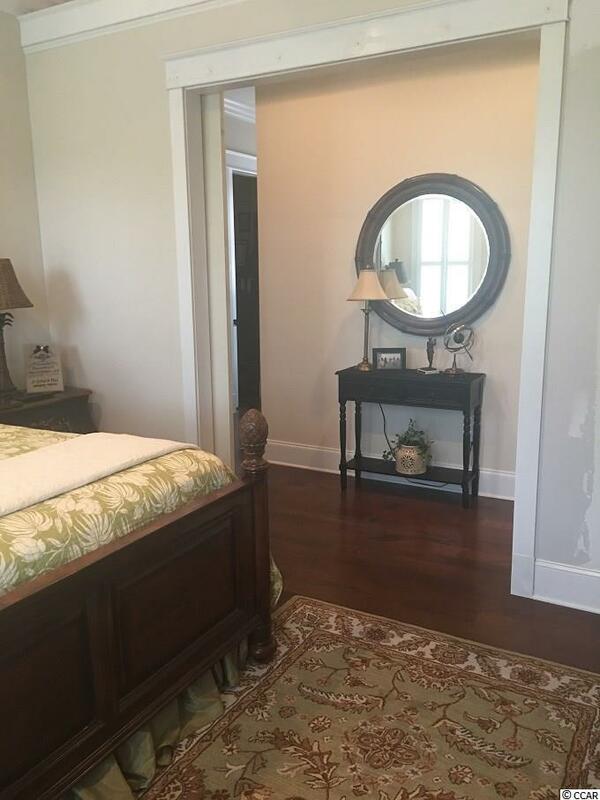 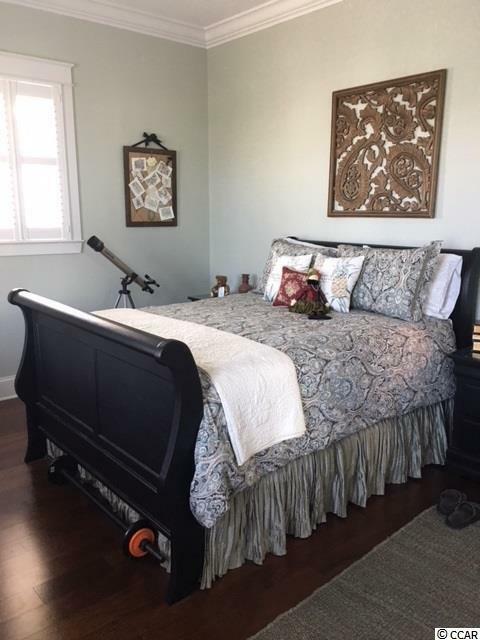 It features custom wainscoting, ceiling fan and oversize walk in closet. 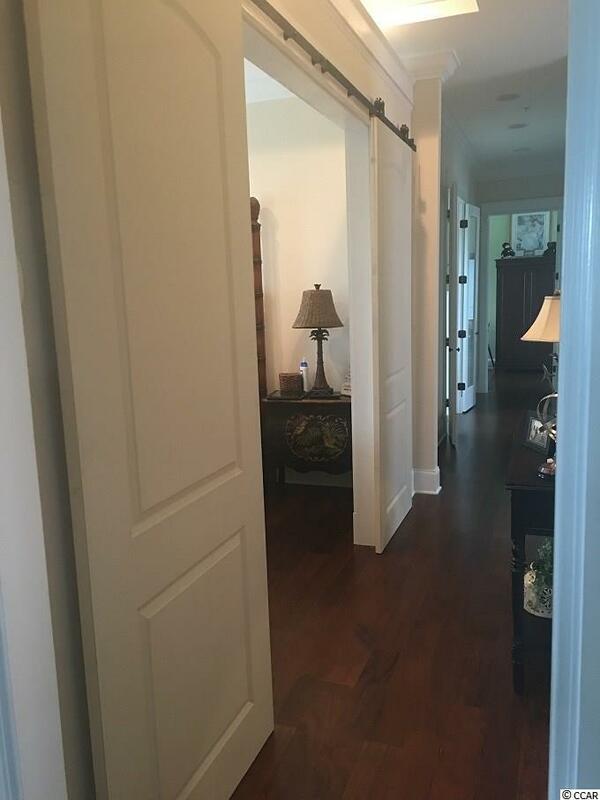 There are unique barn doors to close the closet. 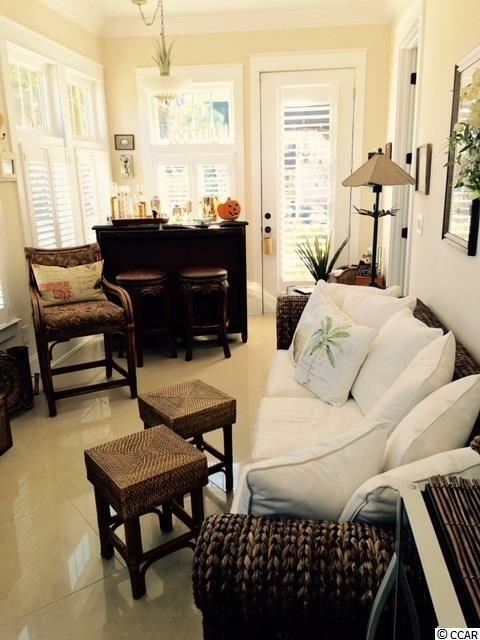 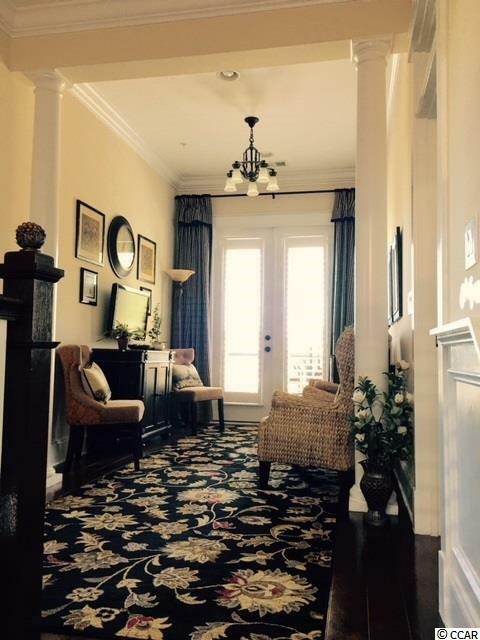 The 10' second floor has an open lobby that leads out to the covered porch with tile flooring and ceiling fans. 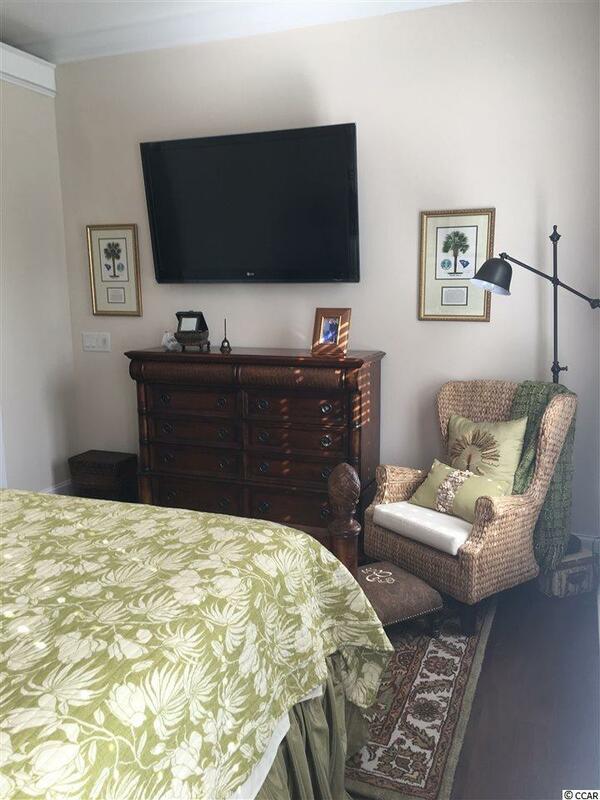 The front bedroom suite has a tray ceiling with indirect lighting, ceiling fan, walk in closet, en suite bathroom with custom tile work, walk in shower, and vanity with Carrera marble top. 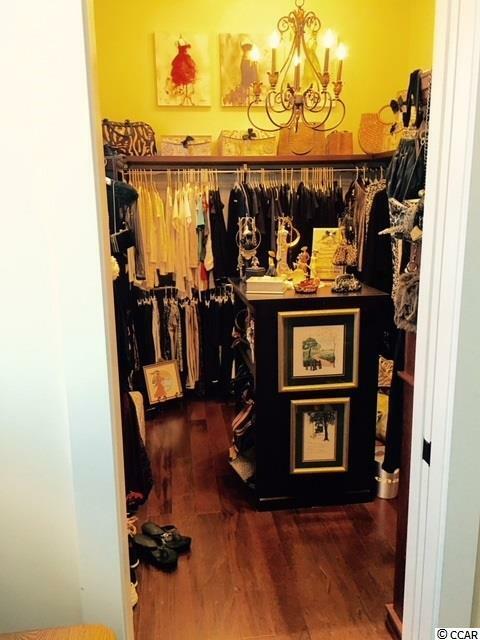 Proceeding down the hall the second bedroom also has a tray ceiling with indirect lighting, ceiling fan and his and hers oversize walk in closets. 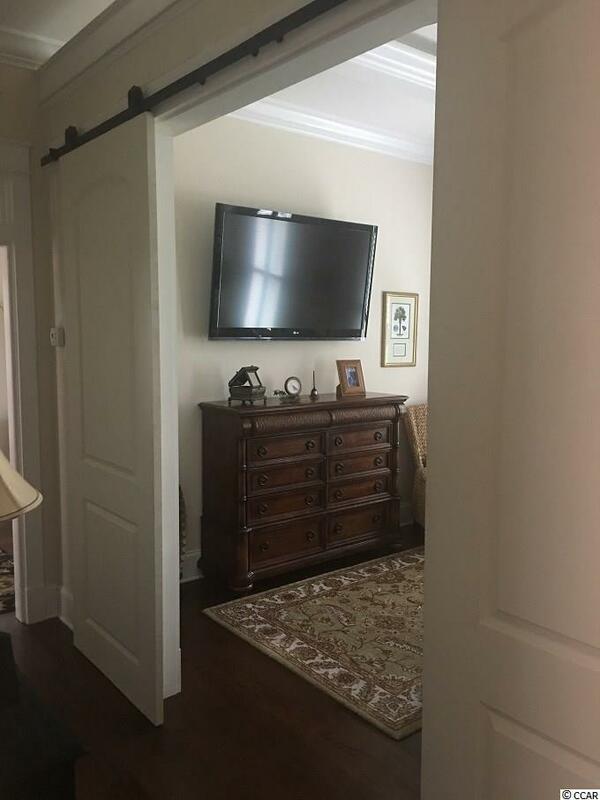 Closing off the bedroom are double 4' barn doors. 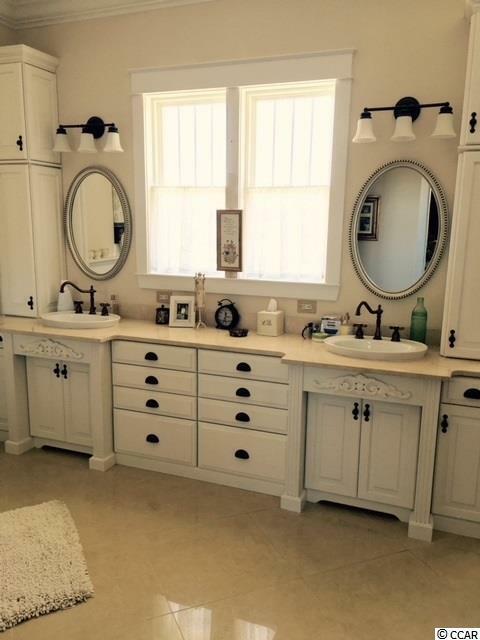 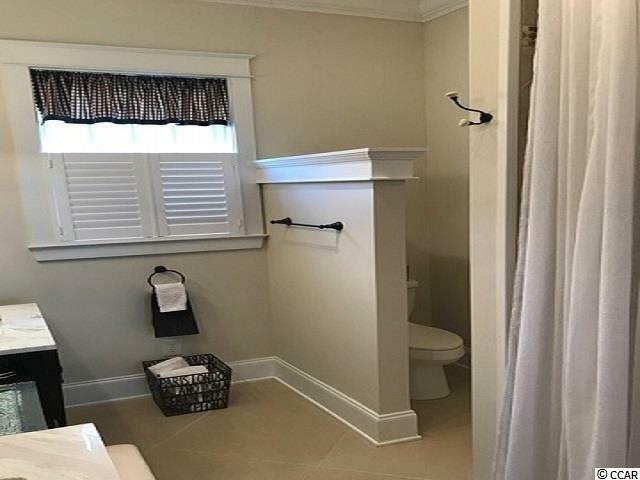 The master bathroom has a double sink vanity with custom cabinets and travertine counter tops, walk in tiled shower, and free standing soaker tub. 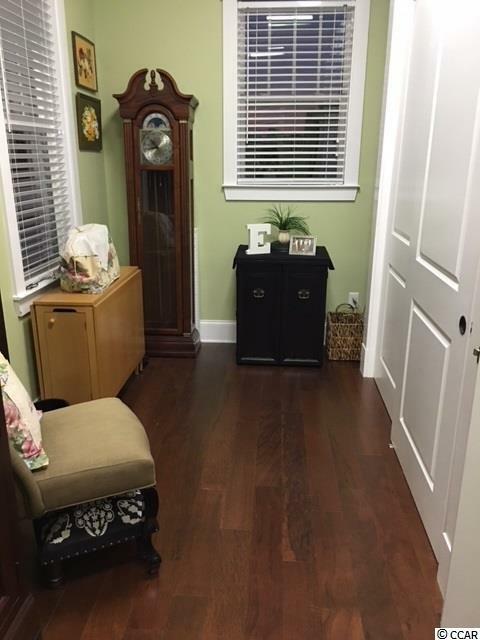 At the end of the hallway is an additional flex room that could be used as an office or additional bedroom. 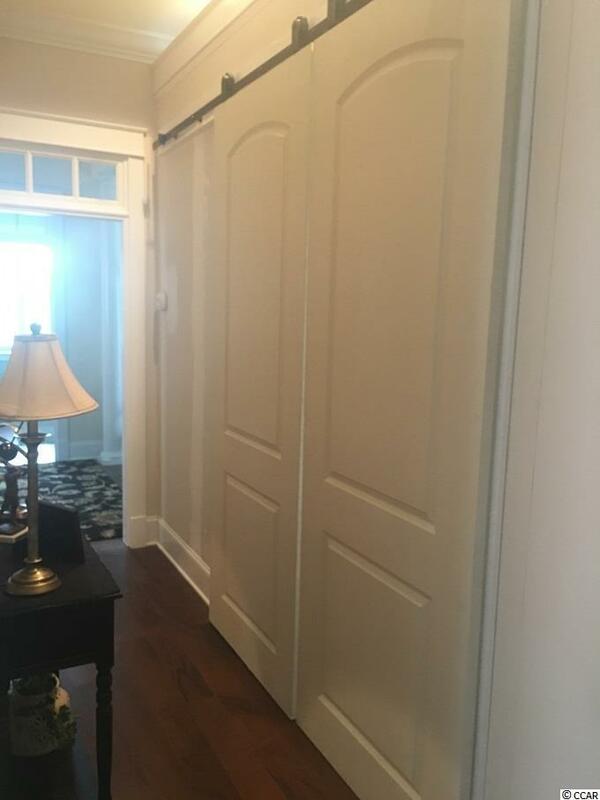 It features an entire wall of closet storage. Conditional owner financing available. Directions: Highway 17 Or Business 17 To Farrow Parkway. 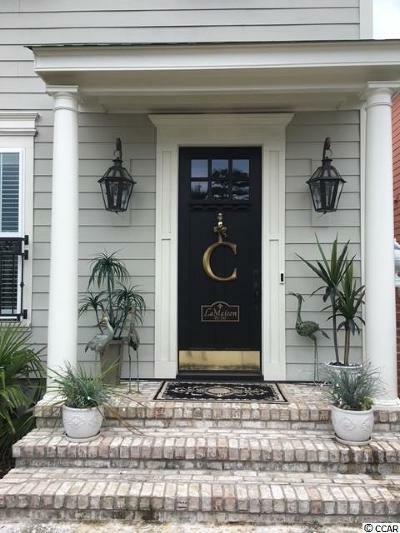 Home Is On The Corner Of Pampas Dr. And Shine Ave. 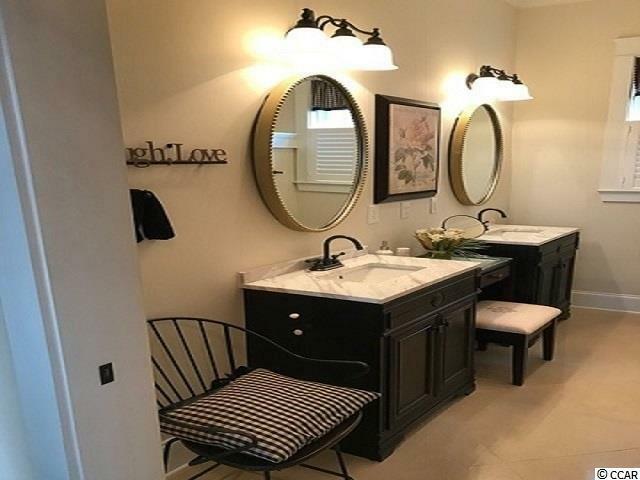 In The Market Common.